La Maison Jolie: My Brand New Chalkboard Wall! 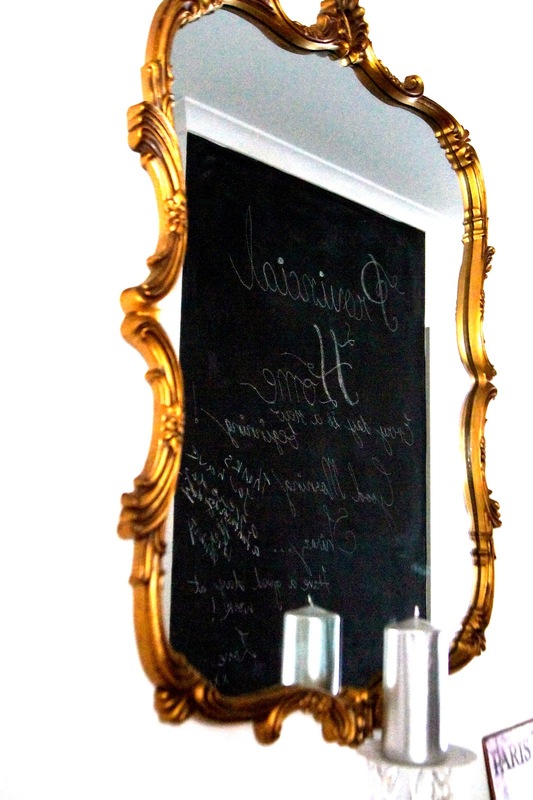 Do you remember my post on chalkboard walls? Well, I took a huge leap of faith and cracked open a new roller and some chalkboard paint and painted a wall!!!! Eeeeeeeeeeeeeee!!!!! Hand on heart I was petrified! But I knew what to do, I just needed the courage to roll the roller in the paint and then on to the wall. I must have hemmed and hawed a million times before doing it, finding excuses with the wall, then the weather, then the paint and the roller, the ladder....the list goes on...! 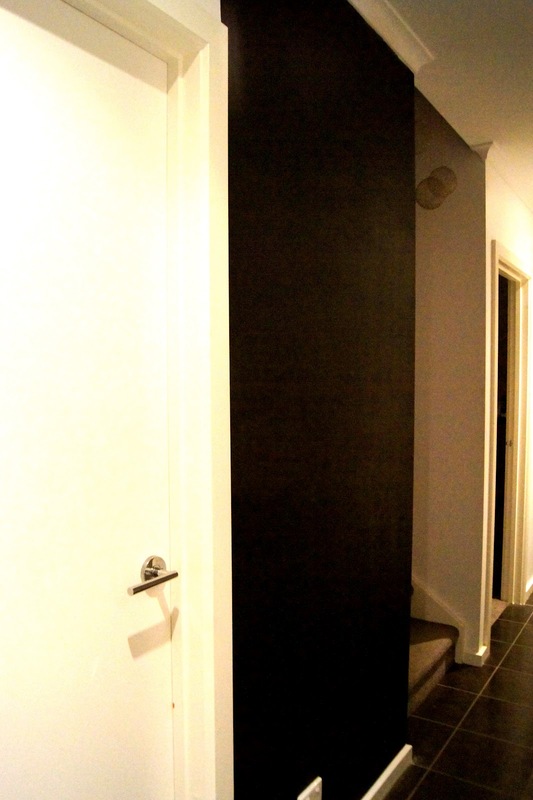 Finally, I taped the wall up on all sides and started painting. Repeated the process twice again after it dried. And 5 hours later I was done! Woohoo!!! I let is dry for 24 hours before curing it and then last night we used it for the first time. I am thrilled with the results. It looks rustic and adds character! I have wanted one for almost forever and now I have one!! It's the narrowest slice of wall in the house, situated in the long narrow corridor downstairs. 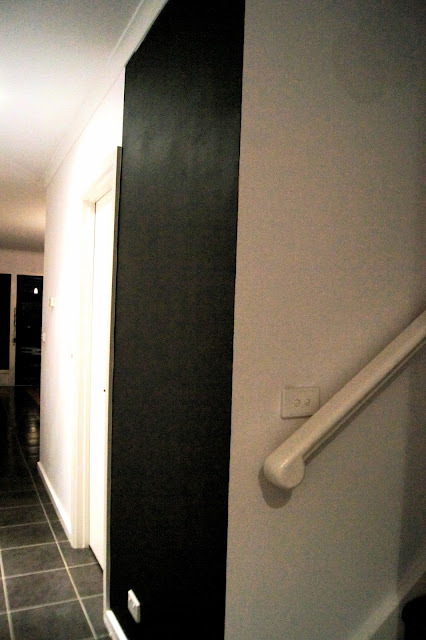 I painted it right from ceiling to floor and what a difference it makes. It adds height or at least the illusion of height! Here are some pictures taken last night. I took them with my phone, so excuse the blurriness. I couldn't wait to show you all. A big shout out to Mandy over at ProjectQueen for featuring my post on "Tutorial to create a rusty patina on wood" and to all the others who have left such sweet comments on my previous posts. 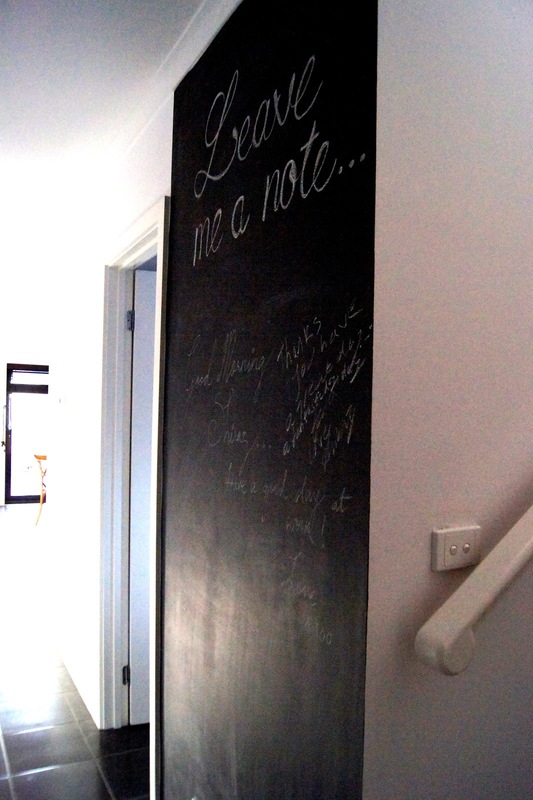 What a perfect spot for a chalkboard wall!